Drone Services: A truly flexible service, adapted to your needs. 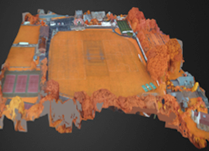 What can our drones do for you? Our drone services allow clubs, greenkeepers and golf courses superintendents to obtain insightful and regular information about the status of their sport surface as never before. 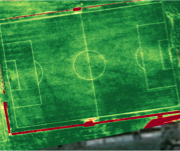 The drone scans your turf for every details, in order to detect wear, hydric stress, irrigation leaks or pests & diseases before these even become visible to the naked eye. Equipment : whether you would like us to operate the drone or rent a drone from us at your facility, we will adapt to your needs. 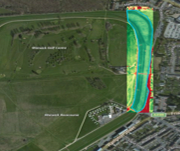 Frequency : our team of sport agronomists will analyse and interpret your data at the frequency of your choice. The flagship service ! 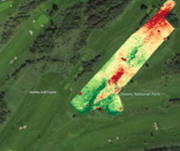 NDVI uses near-infrared light to spot plants health issues before they become visible. Weekly analysis will keep you always one step ahead of potential trouble (diseases, pathologies). 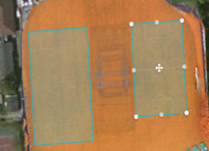 Drone imagery also helps identify issues with moisture management, irrigation or drainage systems. 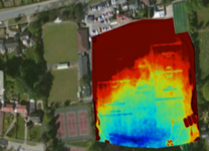 Thermal imagery may also be used to diagnose heating systems efficiency.